Made it here to NAB. For all the domestic travel I do, I rarely check bags, and most certainly have never flown with more bags than I can carry myself. 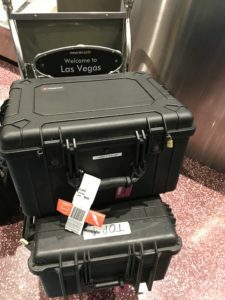 A sense of uneasiness as I watch my two Pelican cases carrying two of the three of my lights that exist in the real world. I packed them with the idea that TSA was most likely going to open them for a closer look. (What the hell is that thing in the X-ray?). To my surprise, they didn’t inspect them. Was so relieved to see them reunited with me. Inspecting them back at the hotel, everything as I packed it. All ready for me to setup shop on Tuesday. 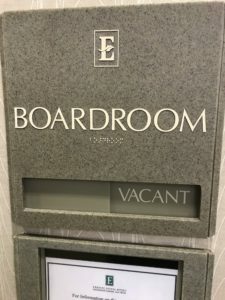 I did get to see where my meeting room is at The Embassy Suites. Basically part of the lobby. Easy to find!